PanARMENIAN.Net - Ahead of the announcement of winners and nominated finalists on April 16, here is a short recap of some of the talented Armenians who have gone to great lengths and received the highly esteemed and reputable Pulitzer Prize. 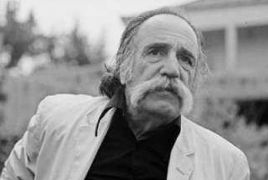 Perhaps one of the world’s most celebrated writers of the 20th century, William Saroyan won the Pulitzer Prize in Drama in 1940 for “The Time of Your Life” but chose to reject the favor. “I do not believe in prizes or award in the realm of art and have always been particularly opposed to material or official patronage of the arts by government, organization or individual, a naive and innocent style of behavior which nevertheless, I believe, vitiates and embarrasses art at its source,” the St. Petersburg Times cited him as saying in its May 8, 1940 publication. Described by himself as an "Armenian overlaid by, of all things, the culture of New England Yankee," Ben Bagdikian was a prominent American journalist who was born into an Armenian family that fled the Genocide in Ottoman Turkey. Bagdikian was a member of a team that won the 1953 Pulitzer Prize for Daily Reporting after their deadline coverage of a bank robbery and police chase that led to the capture of the bandit. Armenian-American journalist and author Stephen A. Kurkjian, also a descendant of an Armenian Genocide survivor, became the 1980 Pulitzer Prize Winner in Local Investigative Specialized Reporting alongside Robert M. Porterfield of The Boston Globe having won the award in the same category back in 1972. Besides, he contributed to The Boston Globe Spotlight Team's coverage of the clergy abuse scandal within the Roman Catholic Archdiocese of Boston that was awarded the Pulitzer Prize for Public Service in 2003. Another of Armenian Pulitzer winners is Patrick J. Sloyan who was awarded the Pulitzer Prize for International Reporting for his 1990 coverage of Desert Storm, the Persian Gulf War and its aftermath. The author received the recognition for his accounts of “how American tanks buried thousands of Iraqi soldiers alive during the Persian Gulf war and how American casualties were caused by so-called friendly fire,” The New York Times said in an article. Among our honorable mentions are some of the finalists, such as Suki Dardarian of Morning News Tribune (Explanatory Journalism, 1992), Ralph Vartabedian of Los Angeles Times ( National Reporting, 2010), Philip Terzian of The Providence Journal-Bulletin (Commentary, 1991), and last but not least, playwright and novelist Eric Bogosian (Drama, 1988). With the winners and finalists of this year’s edition set to be unveiled in 20 days, here’s hoping that more talents will be able to amaze the world with their creative minds and make it a better place.